Could a city in southern Dagestan provide a model for peace in the Middle East? The city of Derbent boasts a number of impressive superlatives. It is the oldest town in the Russian republic of Dagestan, dating back some 5,000 years. It is that country’s southernmost town as well. Derbent is also one of the most strategic. The city forms a natural gateway between the Caspian Sea and the Caucasus. A 1,500-year-old castle, with two walls that cascade nearly two kilometers down into the sea itself, still overlooks the city of 200,000. For centuries, the fortress, known as Narin Kalah, controlled a crossroads of civilizations at a strategic point along the Great Silk Road. It guarded the only feasible passage through the mighty Caucasus Mountains that separate Eurasia from the Middle East. To hear locals in Derbent’s smoky teahouses tell it, Derbent might also rank among the world’s most inspirational places. The city’s geographic wonder is matched only by its multi-ethnic and multi-religious composition. Derbent has the most religiously diverse profile of any place in Dagestan or Russia, and has for hundreds of years. Nearly 2,000 years ago it came under the influence of Caucasian Albania, an early Christian kingdom with ties to Armenia. Despite the city’s Muslim majority, a handful of active Orthodox and Protestant Christians exist even today. Islam arrived in 642, merely 10 years after the Prophet’s death – and Derbent’s Juma Mosque, built in AD 734, remains the oldest mosque on Russian soil. While Islam in Derbent is overwhelmingly Sunni, it has always enjoyed diverse representation among different sects. In fact, Russia’s only indigenous Shia Muslim communities can also be found in the Derbent region. Then there are the mysterious local Jews, sometimes called “Mountain Jews,” sometimes “Tat” after the Persian dialect they speak. No one is quite sure how they got here, but most likely they took refuge from Persian forces in the Caucasus mountains during the 5th Century. Thousands have taken advantage of lucrative emigration opportunities to Israel since the collapse of the Soviet Union, but there remains a vibrant Jewish quarter in the heart of Derbent with an active synagogue and Jewish preschool. A century ago, Ottoman troops entered Derbent to retake the city from Imperialist Russia. Upon seizing control, the Ottoman militias launched a pogrom against local Jews, at which point a certain Mullah Usman took it upon himself to hide 800 Jewish men and boys inside his mosque. The Ottoman soldiers, all Muslims and therefore forbidden to storm onto the holy ground of the mosque, requested entrance. Usman forbid it. Knowing that Jews were taking refuge there but ignorant of just how great the number the Ottoman officers demanded that the imam bring out the Jews. Again Usman refused. With a measure of chivalry, the Ottomans stopped pestering the Jew-loving mullah, and eventually decided to continue on their way. More than eight hundred lives were spared. Fast-forward twenty years, to the mid-1930’s. 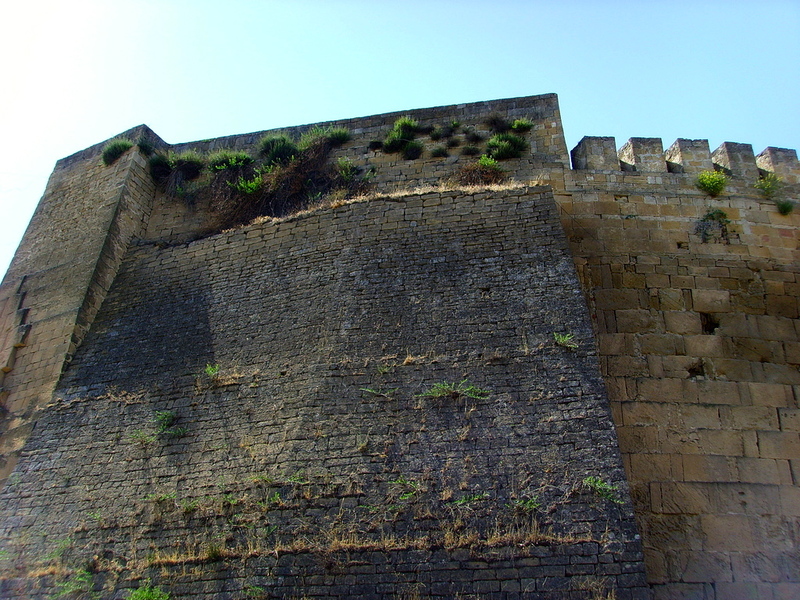 Derbent now lies beneath the control of the Soviet Union, after the fall of the Russian and Ottoman empires that had been clamoring over her for generations. This time the tables are turned. It is the period of Stalin’s bloody ‘purge’ that targets the intelligentsia of society, including prominent religious leaders. Mullah Usman, now an old man, is promptly arrested and placed in a holding cell in Derbent. It is unclear whether the local communist leaders intend to execute him summarily or ship him off to a gulag in Siberia. Word spreads quickly of Usman’s predicament. Before long hundreds of Jewish pogrom survivors from two decades ago, along with relatives of those now deceased, mount an illegal protest outside Mullah Usman’s jail cell. At great risk, the Jewish mob demands the mullah’s immediate release. Hours on, the protest escalates in numbers and volume. Finally, the local commissar, in a Pilate-like fit to quell the crowd, and perhaps emboldened by Usman’s old age, gives the order to release the feeble-but-famous cleric. Locals in Derbent love telling me this story over endless cups of tea drunk from delicate, handle-less, pear-shaped glasses. Most of my interlocutors are Muslims, and some of them even tear up when telling the story. I confess most of my own tears are due to the third-degree burns I suffer from trying to hold the tea glass. Although I find it maddening to dig up verifiable sources confirming any of the actual details, I can’t escape the impact the story has upon its heralds. Even if facets of the story have been spun to me or exaggerated, the sheer existence of the tale — and the enthusiasm and emotion with which it lives on — provides a clear window into the heart of Derbent. Dagestan’s Jews have enjoyed multiplied centuries of mutual respect and peaceful coexistence with their Muslim and Christian neighbors. The number of violent altercations between the communities remains staggeringly low. Among cities across the greater Middle East today, Derbent rises as a shining star of cross-cultural and inter-religious harmony, a model worthy of serious emulation. The great-grandchildren of Mullah Usman and his Jewish benefactors continue to walk the streets of Derbent arm-in-arm, rebuking the Jewish-Muslim hatred across our world. Sunni and Shia coexist in tranquility here, enjoying kebabs together and sharing tea across the dozens of local teahouses. Even Christians join the mix, their children playing with Muslim and Jewish classmates in the dusty alleyways of Derbent. Perhaps peace negotiators should stop looking for arbitration from the adolescent West or the artificial international community. For once, they ought to take notice of this ancient sign-post-city at the northern doorstep of the Middle East.